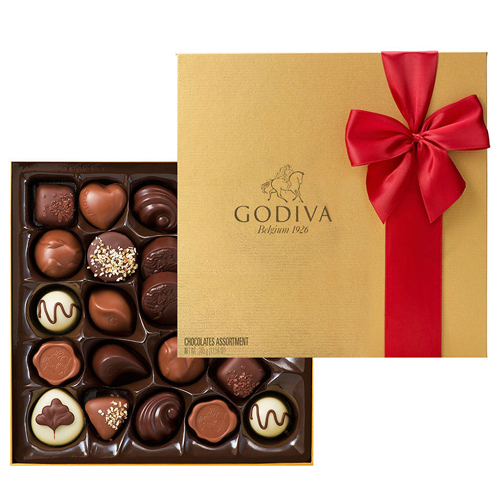 Give the gift of Godiva’s signature collection of chocolates for that someone special. 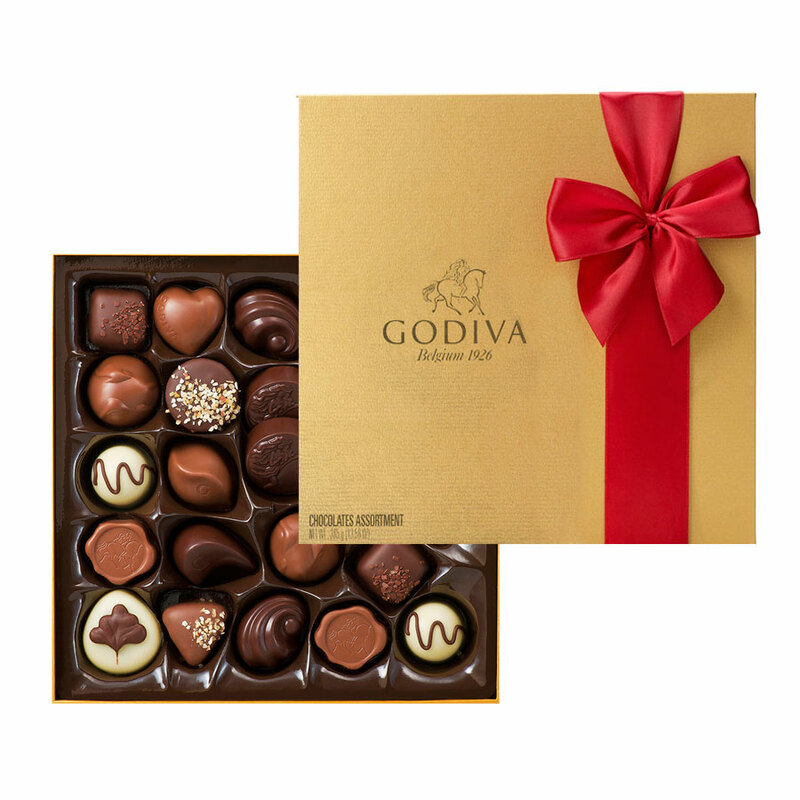 The ever-popular Godiva Gold Box contains 24 perfect milk, white and dark Godiva favourites, with a variety of tempting, expertly crafted fillings including creamy pralines, sweet caramels, nutty noisettes and soft ganaches. A wide red ribbon adds a beautiful touch, creating a very special gift for every special occasion.